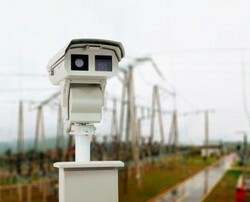 Providing you the best range of electrical substation infrared thermal monitoring system, night vision camera for research and uav hl-640l, fixed mount predictive maintenance thermal infrared camera, portable thermal imaging binocular ir516, premises security surveillance thermal camera ipc and handheld scouting thermal monocular with effective & timely delivery. Intelligent infrared monitoring system access monitoring data (including IR measurement data, HD visible image and video) by real-time monitoring on site equipment and transfer to surveillance center by optical network. Inspector enable to obtain substation equipment's working conditions and potential failure with help of high-temperature alarm system, and real time analysis temperature variation trend of key equipment or circuit. 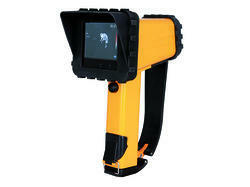 It enables inspector predict and deal with defect in a more efficient way and improve real time surveillance ability. Designed for light unmanned aerial vehicles, weight ≤ 320g, 50mm telephoto lens, can be found around the target, the whole dynamic precision temperature measurement. Image frame rate 50Hz, full dynamic temperature data recording frame rate 20Hz can switch through the UAV remote control a variety of pseudo-color, optional GPS satellite positioning module or with the UAV location information system, satellite positioning information integration Shooting data header file, to achieve rapid data retrieval. 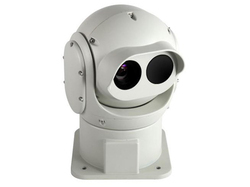 Fixed Mount Analog Thermal Infrared Camera is an uncooled FPA thermal imaging camera system which features ultra-high resolution in 640 x 480 pixels. The FM640 is suitable for a wide variety of applications including electrical inspections, petrochemical, iron and steel, scientific research, fire-fighting, building inspections, process control, medical, veterinarian and more. 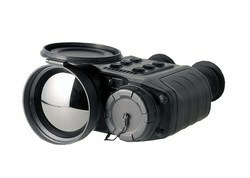 It is an ideal choice for day-and-night observation and surveillance. It’s an essential tool in wildlife observation, hunting, public safety, police and security operations. 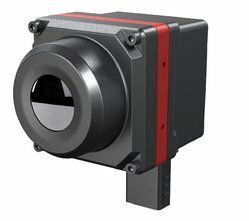 IPC is the designed in accordance with the concept if modularized integration, which can be easily installed and used with standard plug-and-play interface or used directly as an out-of-the-box thermal camera. 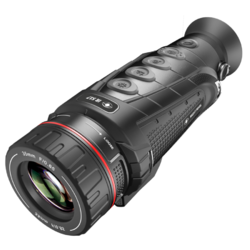 This camera is engineered for optimal performance and can be customized to fit a variety of environments with lightless conditions. The Watcher Pro P-Series | Onboard / Martime Fixed Mount Thermal Camera is a multi-application thermal infrared night camera that provides real time inspections. The system can be adapted to the user’s requirements, and can be fitted with different lenses to enhance the FOV. 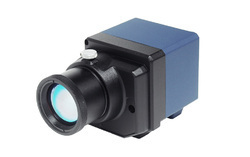 The Watcher Pro features either 384 × 288 or 640 x 480 resolution with an Uncooled FPA Microbolometer. The pan, tilt, zoom supports 10x optical zoom. The Watcher Pro P-Series is enclosed in a weatherproof, armor dome that can be used for indoor or outdoor video surveillance, and is great for low light surveillance, maritime, and other extreme environments. 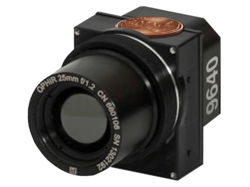 Analog Thermal Infrared Camera offers unmatched image sensitivity and accuracy in a 640 x 480 imager. 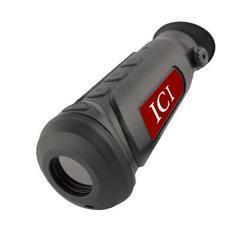 This thermal imaging camera can be mounted in a number of available ICI enclosures for any environment. Select from our complete line of enclosures which meet NEMA 4 – NEMA 9 specification. These housings provide protection from any kind of hard weather or environments. Intelligent ADAS infrared night vision camera system for vehicle navigation, sees through the total darkness, thick smoke, dense fog, heavy rain and snow, reveals unexpected obstacles, highlights sudden events. Improves visibility of road signs, navigates on unknown roads and overcomes blindness caused by oncoming headlights, thus dramatically lowers the risks of driving and enhances the safety of lives, properties and profits. Featured razor-sharp live imaging, extremely wide viewing range, incredible durability in diverse harsh environments, instant installation on any vehicles and high affordability for any limited budgets, it is absolutely the perfect choice of driving assistant vision systems. 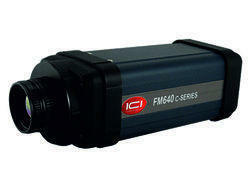 Looking for Security & Surveillance Thermal Imagers ?